Minister for Resources and Energy Anthony Roberts today announced the cancellation of three Petroleum Exploration Licences (PELs) in significant areas of the Sydney Water Catchment, following buy-backs from Apex Energy. PEL 442, issued in February 2002, covered 23,067 hectares from south of Port Kembla, west of Dapto and north to Clifton. PEL 444, issued in April 2003, covered 6,272 hectares from Clifton, west of Darkes Forest and north of Lilyvale. PEL 454, issued in March 2007, covered 28,397 hectares west of Oakdale. Mr Roberts said the PELs covered significant areas of Sydney’s south, west and Wollongong, including the Special Areas of the Sydney Water Catchment. “The Special Areas of the Sydney Water Catchment are the most sensitive and important areas for securing our drinking water supply,” Mr Roberts said. “In November 2013, the Liberals & Nationals Government placed a moratorium on coal seam gas activities in the Special Areas of the catchment. 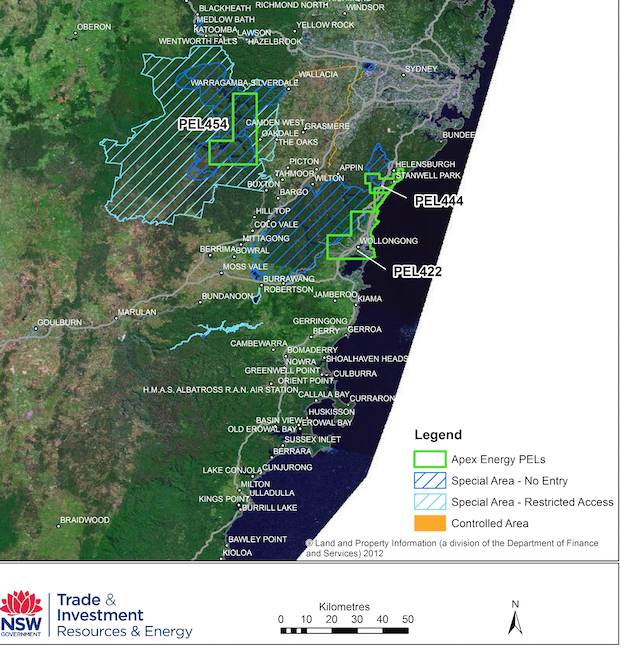 “Through the PEL buy-back scheme, Action 4 of the NSW Gas Plan, the Baird Government has been able to reclaim these PEL areas. “The NSW Gas Plan, released last November, outlined our path to deliver world’s best practice regulation, putting an end to Labor’s 16 years of mismanagement of the industry. “Our plan ensures the gas industry in NSW will operate on our terms, not to the low standards set by the previous Labor government.